NORMAN — The University of Oklahoma College of Law will honor five outstanding alumni at its annual Order of the Owl Hall of Fame Ceremony, Wednesday, Feb. 6. The Order of the Owl recognizes OU Law graduates who demonstrate leadership and service through outstanding accomplishments in their legal careers. 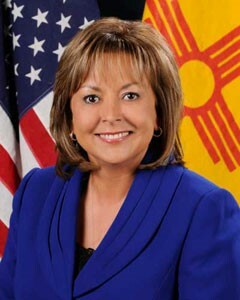 Susana Martinez, the first female governor of New Mexico and the first Hispanic female elected governor in the history of the United States. Since its establishment in 2011, the Order of the Owl has inducted and honored 23 deserving OU Law alumni. Immediately after graduating from OU Law, Stanley L. Evans was named dean of students at the college, making him the first African-American to be appointed to a dean position at an Oklahoma law school. During his tenure, OU Law achieved remarkable progress, particularly in initiatives aimed at increasing diversity and encouraging minority success. In one year, first-year minority student numbers jumped from 16 percent to 28 percent. During his tenure, OU Law achieved a 100 percent minority bar passage rate three times and an overall bar passage rate of 97 percent twice. The minority and overall retention rates at the college stayed above 94 percent his entire tenure. In 2009, OU Law was named one of the top 20 law schools for diversity experience by U.S. News & World Report. Although he retired from his full-time position at OU Law in 2012, he continues to serve the college as assistant dean, acting as a mentor, adviser and recruiter. Before coming to law school, Evans served 32 years in the U.S. Army, rising to the rank of colonel and serving in Vietnam as a company commander. He was the first African-American to command Fort Leavenworth, Kansas, and was the first African-American dean of the Army’s prestigious Command and General Staff College. Under his leadership, Fort Leavenworth was twice selected as the second best managed fort in the entire Army. He also presented a $120 million project to Congress, which provided funds to construct the Lewis and Clark Center, a 413,000-square-foot instruction facility at Fort Leavenworth. 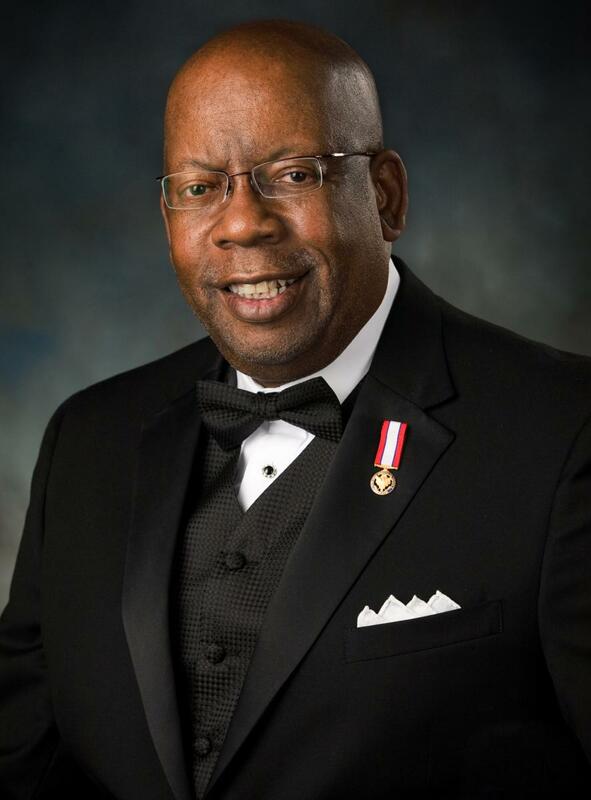 Throughout his life, Evans has been a champion for equality and service to others. As former chair of the Oklahoma Human Rights Commission, he energized the state on human rights awareness. Evans also served as chair of the Oklahoma Bar Association’s Military and Veterans Law Section and is one of the founders of the Oklahoma Lawyers for America’s Heroes Program, which provides free legal services to Oklahoma soldiers and veterans. To date, the program has helped 4,332 Oklahoma veterans. He is the chief legal coordinator for Oklahoma City’s MAKE-A-WILL and Family Financial Counseling Program, which has helped over 500 families with financial planning and wealth management. His efforts have earned him numerous awards, including the OBA Award for Outstanding Pro Bono Service, OBA Diversity Award, the OBA Trailblazer Award and two Oklahoma Governor’s Commendation Awards. His highest military award is the Distinguished Service Medal. 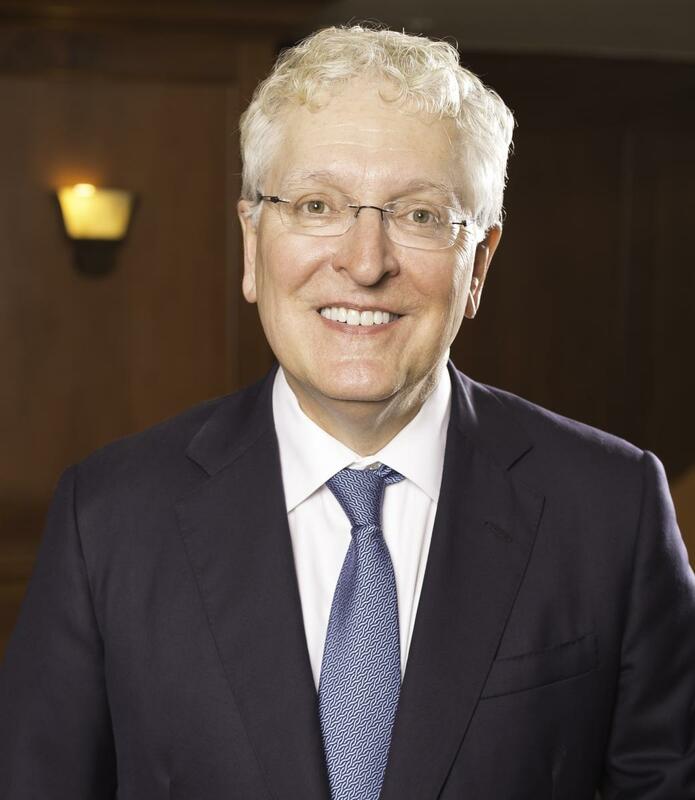 John D. Groendyke is chairman of the board and chief executive officer of Groendyke Transport Inc., the fifth largest motor carrier of bulk commodities serving the continental United States, Canada and Mexico. Groendyke is also well-known for his respect for wildlife and passion for the outdoors, manifested in his four decades of service on the Oklahoma Wildlife Conservation Commission. After graduating from law school, Groendyke served as a captain in the U.S. Army, and after a two-year tour of duty, he returned to Enid to join the family trucking operation, which was founded in 1932 by his father, H. C. Groendyke. Groendyke is serving his sixth eight-year term as commissioner of District 8 for the Oklahoma Department of Wildlife Conservation Commission, making him the longest-serving commissioner in Oklahoma history. In 2016, he received a citation from the state of Oklahoma recognizing his 40 years of service on the commission and his passion for promoting the outdoors. In addition to serving on the wildlife commission, Groendyke also is a member of numerous boards, including those of OGE Energy, the National Tank Truck Carriers, the Wentworth Military Academy, the Grand National Quail Foundation and the Oklahoma State University Foundation. He serves as a trustee and was a past chairman for the Oklahoma Chapter of The Nature Conservancy. His lifelong service has earned him a number of distinctions and awards, including the Western Association of Fish and Wildlife Agencies Lifetime Achievement Award, the NatureWorks Wildlife Stewardship Award, and was named an OSU Division of Agricultural Sciences and Natural Resources Champion. He has been inducted to the OSU Hall of Fame and the Oklahoma Hall of Fame. Robert H. Henry’s distinguished career has spanned three fields: government, law and higher education. He earned both his undergraduate and juris doctorate degrees from OU. At age 23, while still a student at OU Law, he was elected to the Oklahoma House of Representatives and served from 1976 to 1986. Immediately after his term in the state house, he was elected attorney general of Oklahoma and was re-elected without opposition in 1990. Henry’s career in higher education began the following year when he became dean and professor of law at Oklahoma City University School of Law. He held this position until his appointment in 1994 to the United States Court of Appeals for the 10th Circuit. He served as chief judge from 2008 to 2010. During his time on the court, he was a member of a delegation led by Supreme Court Justice Sandra Day O’Connor that represented the U.S. judiciary at the Arab Judicial Forum. He also served as chair of the U.S. Judicial Conference Committee on the Code of Conduct and later as chair of the International Judicial Relations Committee. He was the inaugural chair of the American Bar Association’s Middle East and North Africa Council. 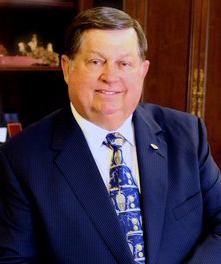 In 2010, Henry was appointed the 17th president of Oklahoma City University. During his presidency, OCU maintained its nationally recognized excellence in the performing arts while expanding offerings and building new facilities for its programs in nursing and other medical specialties. He also oversaw the relocation of the university’s law school to midtown Oklahoma City. Henry retired from the presidency in July 2018. Henry has presented lectures across the globe and has been published in magazines, newspapers, law reviews and by the university presses of Oxford, New York University, Nebraska and Oklahoma. He serves on the boards of directors for numerous organizations, including Devon Energy, the Oklahoma Medical Research Foundation and the Oklahoma Arts Council. Among his many honors and accolades, Henry has been awarded honorary doctorate degrees from four Oklahoma schools: OU, OCU, OSU and the University of Tulsa. As executive vice president, general counsel and secretary of The Allstate Corp., Susan L. Lees leads the company’s 1,700-person legal team to guide its business strategy, ensure sound compliance and foster a healthy legal, legislative and regulatory environment, all grounded in a culture of social responsibility. 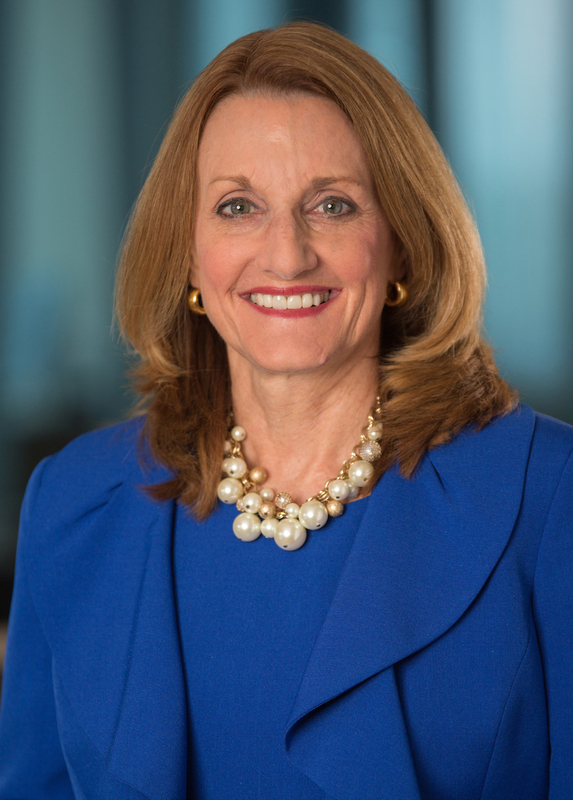 Lees joined Allstate in 1988, progressively holding leadership positions with increasing responsibility, including her previous role as senior vice president and deputy general counsel for Allstate Financial. During her extensive tenure at Allstate, Lees has led a multitude of complex initiatives, including major acquisitions. While leading the corporate law division of Allstate’s law and regulation department, she gained deep experience working with business areas across the broader corporation. Earlier in her career, Lees built a foundation of business acumen through professional sales roles at Celanese Corp. and Exxon Chemical. Throughout her career, Lees has been a champion of solutions to key societal issues. She serves on numerous boards, including the National Network to End Domestic Violence, the National Association of Women Lawyers, Rand Institute for Civil Justice and Children’s Hospital of Chicago Medical Center / Ann & Robert H. Lurie Children’s Hospital of Chicago. She is past president of the board of directors for the Riverside Foundation, a nonprofit organization offering life-enrichment opportunities to adults with developmental disabilities, and she is a former member of the board of directors for the Association of Life Insurance Counsel. Lees was honored with a 2018 National Women in Law Award by Corporate Counsel and InsideCounsel. These awards honor general counsel, in-house leaders and law firm partners who have demonstrated a commitment to advancing the empowerment of women in law. Upon her election as governor of New Mexico in 2010, Susana Martinez became New Mexico’s first female governor and the first Hispanic female elected governor in the history of the United States. During her two terms as the state’s chief executive, Martinez prioritized diversifying and growing the economy, improving education and keeping communities safe. Without raising taxes, she turned the largest structural deficit in state history into a surplus, all while protecting key priorities like classroom spending and basic health care. Among her initiatives to improve the economy were signing into law the New Mexico Jobs Package, streamlining regulations for various industries, and increasing New Mexico’s exports, particularly its cross-border trade with Mexico. Her efforts to improve educational performance include implementing an A to F grading system for schools and establishing a statewide teacher evaluation system. In 2013, TIME Magazine named Martinez one of its 100 Most Influential People in the World, one of only two governors who made the list. In addition, Hispanic Business Magazine named Martinez “Woman of the Year” for her efforts to reducing taxes on New Mexicans and promoting a friendlier business environment. Before she was elected governor, Martinez was a prosecutor for 25 years. In 1996, she was the elected district attorney for the 3rd Judicial District in Doña Ana County in southern New Mexico, a position she held for 14 years. During this time, Martinez personally tried some of the district’s most difficult cases, including child abuse and child homicide. As a prosecutor, she worked to pass legislation for “Katie’s Law,” a DNA collection law, which she would later expand as governor to include all felony arrests. For her efforts, she was honored twice as the New Mexico Prosecutor of the Year. The Order of the Owl has previously inducted 23 OU Law alumni: Judge Thomas R. Brett, Bill W. Burgess Jr., Judge Michael Burrage, Judge Robin J. Cauthron, Dean Emeritus Andrew M. Coats, Justice Tom J. Colbert, James T. Comfort, William T. Comfort Jr., Ada Lois Sipuel Fisher (posthumously awarded), James L. Gallogly, Justice Noma D. Gurich, Judge David B. Lewis, Judy Hamilton Morse, William G. Paul, W. DeVier Pierson, J. Hugh Roff Jr., William J. Ross, Kathy Taylor, Justice Steven W. Taylor, Judge Ralph Thompson, Judge Lee West, Reggie Whitten and Justice Alma Bell Wilson (posthumously awarded).